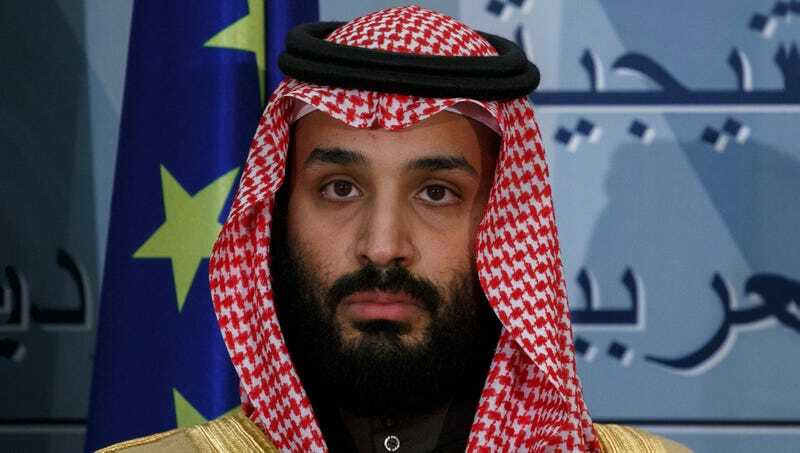 RIYADH, SAUDI ARABIA—Claiming that they could not have played a part in the disappearance, Saudi Crown Prince Mohammad bin Salman issued a statement Monday insisting that the exiled journalist Jamal Khashoggi, who went missing last week, had already been dismembered before he left the Saudi consulate in Istanbul. “According to all reliable sources available at the embassy, Khashoggi’s armless and legless torso was seen leaving the consulate on Thursday,” read the statement, adding that this claim could be backed up by security camera footage showing the journalist’s severed right arm exiting a first-floor elevator earlier the same day, as well as several eyewitnesses who spotted chopped-up body parts hailing a taxi outside of the consulate that afternoon. “Though Khashoggi was a frequent critic of our regime, we can attest that his murder and dismemberment could not have been the work of the Saudi government. The timeline simply doesn’t match up. All we know is that the journalist was covered in blood and missing a lot of limbs when he arrived at the consulate on Tuesday and then left on Thursday—whatever happened to him after that remains a mystery to us. Really, we were stuck cleaning up after him. It was kind of rude to come in and leave a big mess everywhere.” At press time, the journalists reporting on this story had been dismembered.